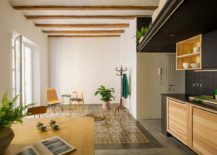 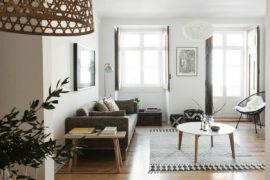 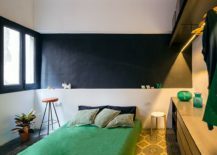 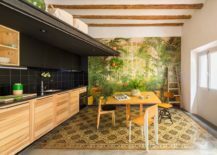 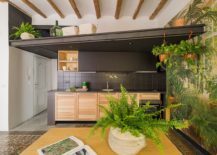 Merging the old with the new and the rough with the polished, END THE ROC is an apartment renovation project in Barcelona that feels simply exceptional. 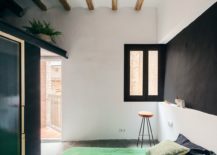 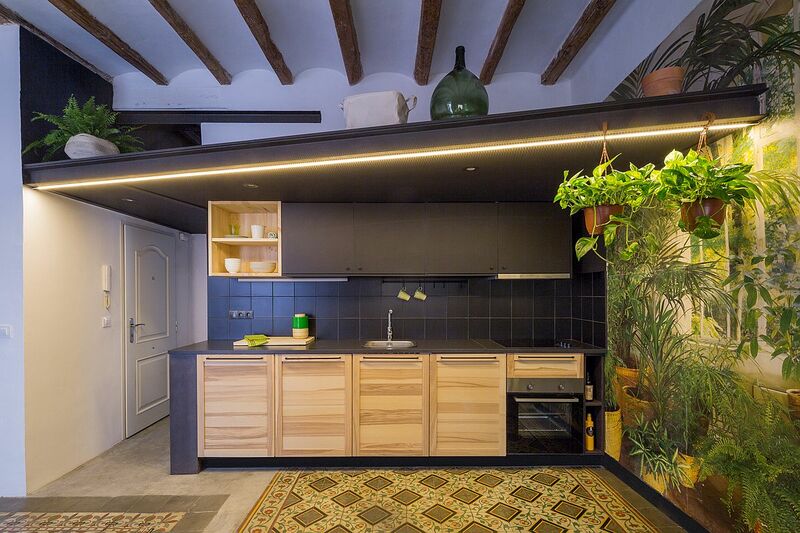 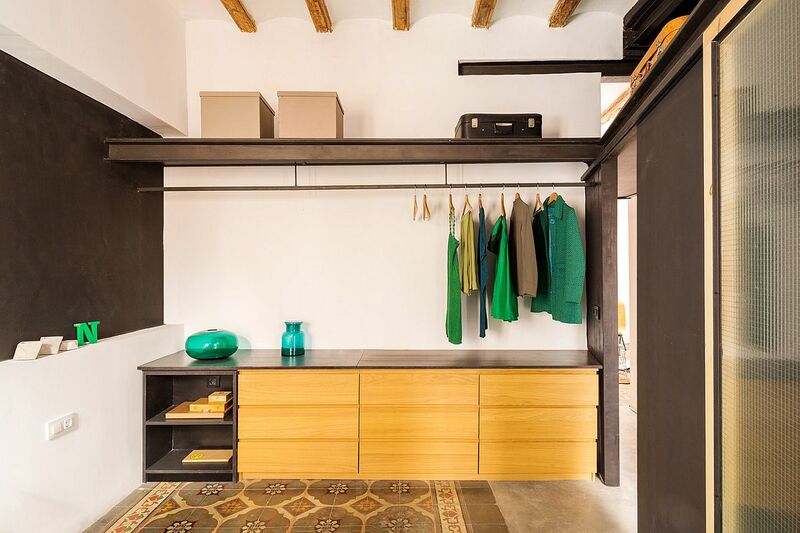 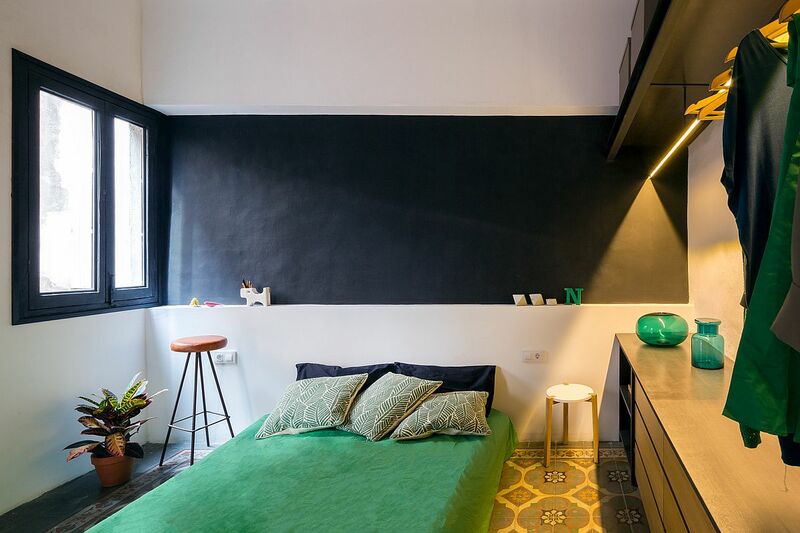 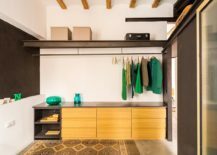 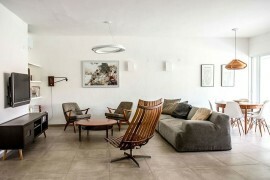 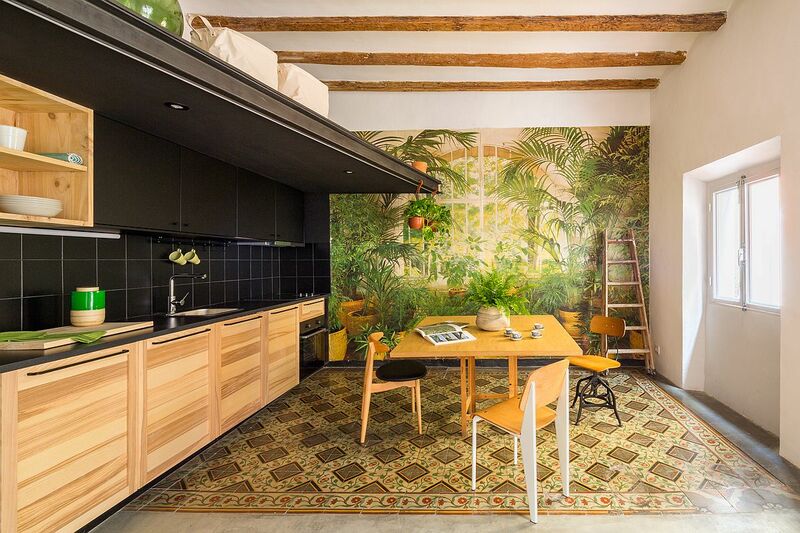 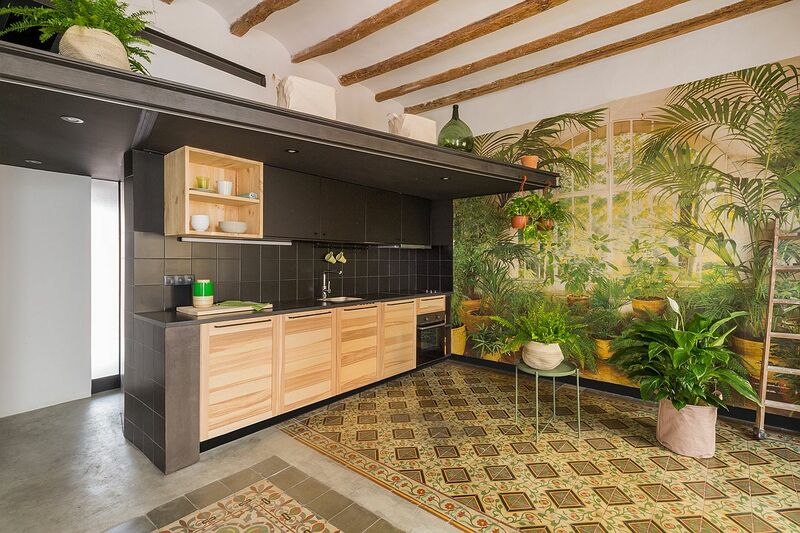 Having already revamped other apartments in the same Spanish building, Nook Architects had enough experience in how to deal with the unique challenges that the makeover posed. 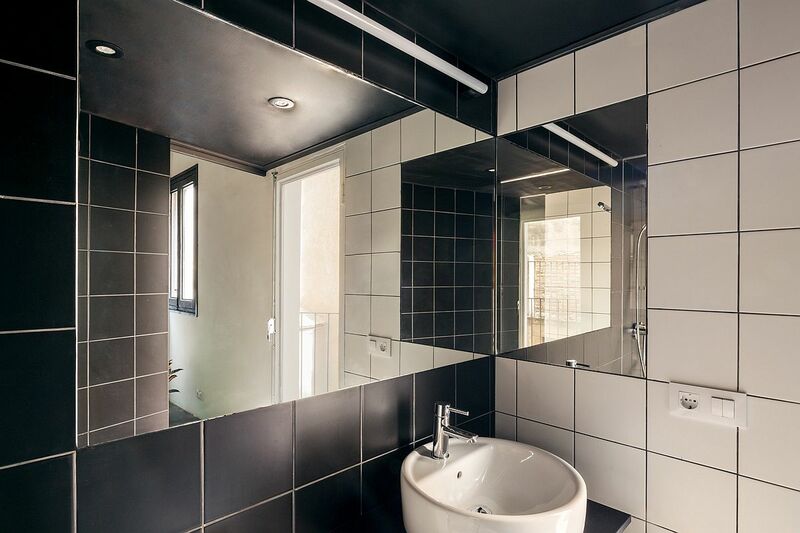 Previous internal partitions were done away with and anything that was considered unnecessary and excessive was carefully removed even while keeping the original outline largely intact. 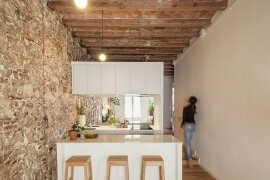 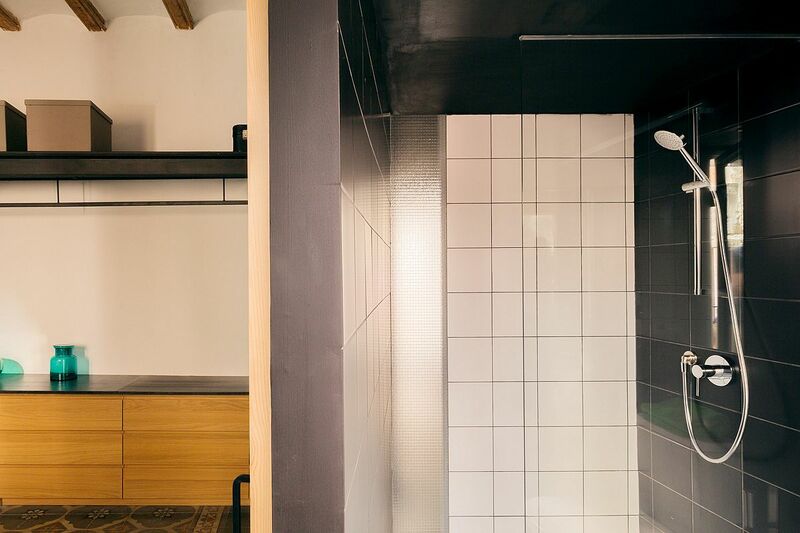 Clever use of steel beams not only provides support to the old structure but also brought in another unique textural and visual element to the space. 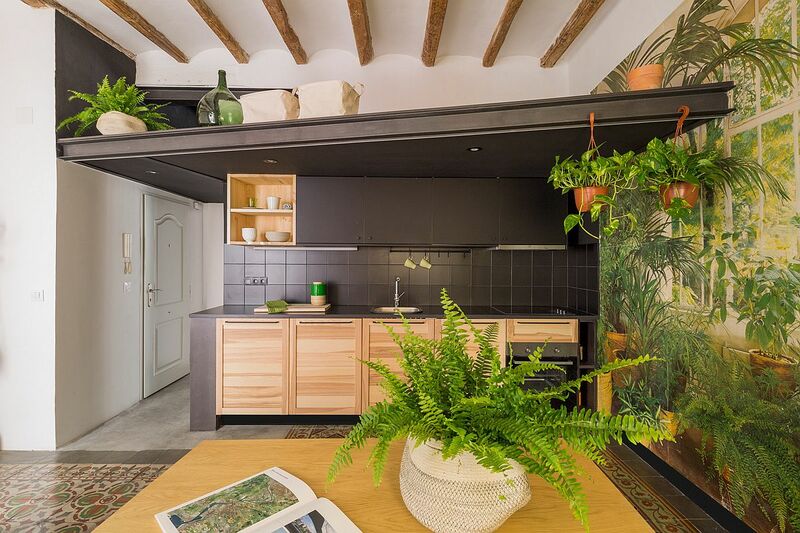 Exposed wooden beams on the ceiling and smart use of both black and wide backdrops paint a picture of curated elegance that also borrows diligently from the apartment’s past. 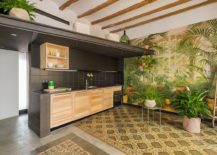 It is the kitchen and dining room with a vivacious, tropical-themed backdrop and indoor plants that ends up becoming the heart of the rejuvenated apartment while a restored window in the bedroom brings in plenty of natural light. 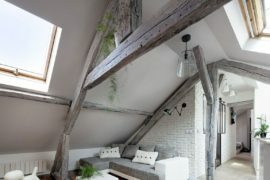 RELATED: Rustic Modern Attic Apartment Renovation Oozes Parisian Panache! 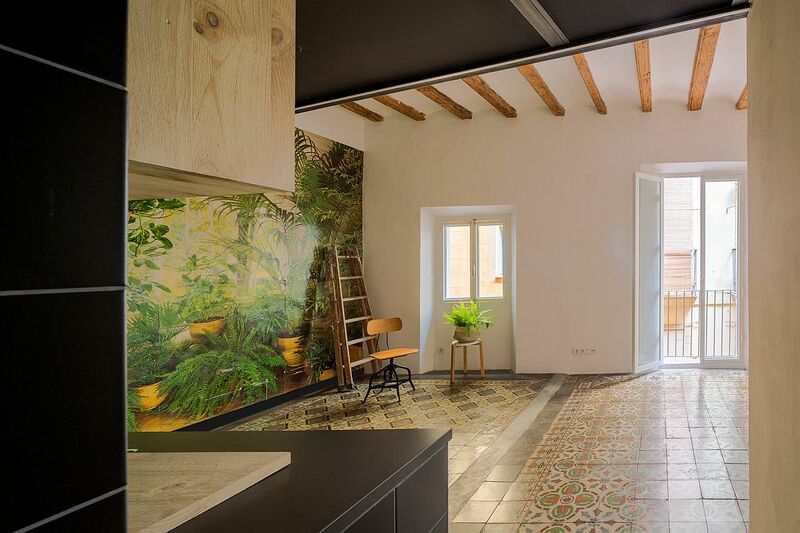 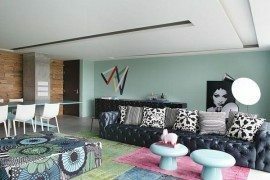 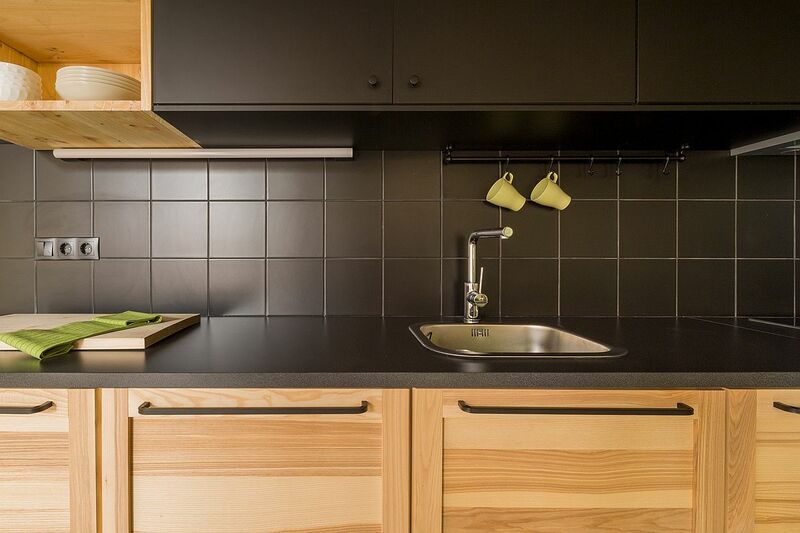 Some years after our first commissioned work at CASA ROC, followed by TWIN HOUSE, ROC CUBE and G-ROC, we carried out the final apartment renovation in the same property. The approach of our intervention at END THE ROC, as with those with others, revolved around the restoration and consolidation of the building’s original character. 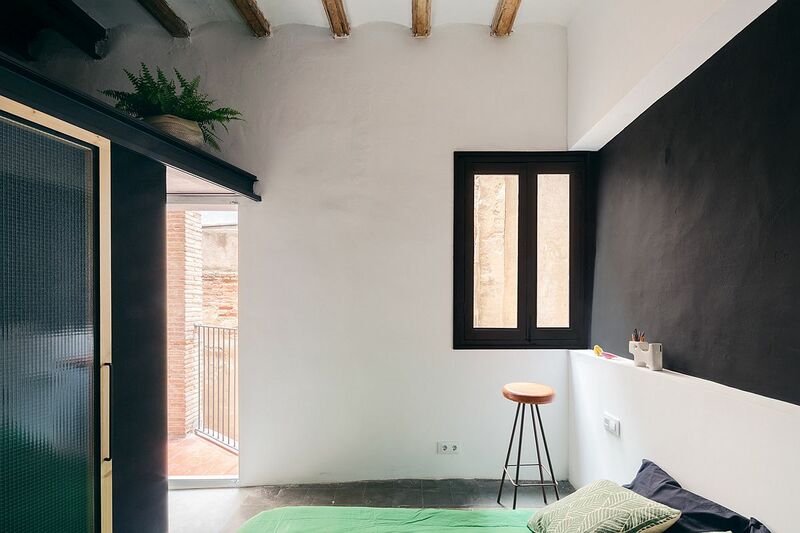 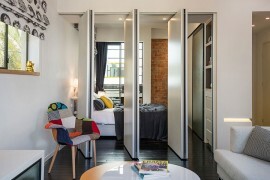 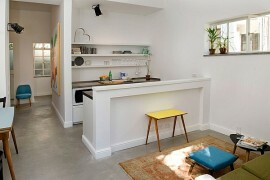 The space was split into the daytime area – in the noisier part of the house – with the bedroom to the rear.